Here’s some information to help you get started quickly and easily. 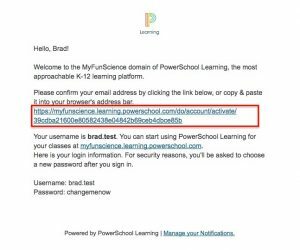 What is Powerschool & how do I complete my student account setup? How does a student log into their PSL account? Who should I contact if I run into problems? The Powerschool Learning System (PSL) will be the student’s main portal for all their classes with MyFunScience. The place where you will submit assignments, take quizzes and tests, and much more. 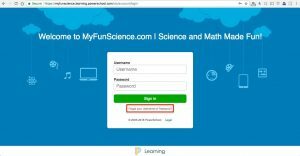 Each student will have their own account with the MyFunScience Powerschool Learning System and their own login information – even if your family has multiple students with MyFunScience. 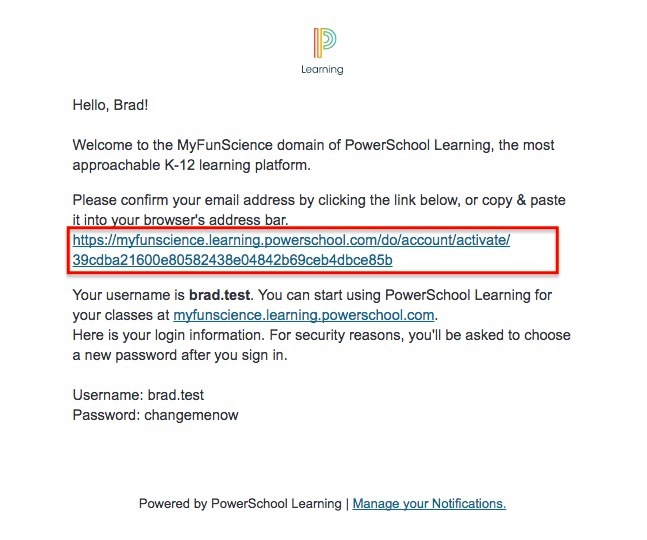 Please Note: If you have used Powerschool in the past with other schools, your username & password will be different for your MyFunScience PSL account. Please use the information we provide you. How do I complete my PSL account? Students will receive an email from Powerschool asking the student to click a link to confirm their email address. The purpose of this email is for the student to give Powerschool permission for the teachers to be able to communicate by email with the students. You can resend the email confirmation in Powerschool by clicking on your profile icon in the top right of the window, selecting “My Information”, and then scroll down to find and click the button that reads “Re-send Confirmation Email”. If you don’t see the Account Confirmation email within a few minutes, please check your email Spam or Junk folders. How do students login to their Powerschool account? Start by going to the Student Login. We recommend that you bookmark this link page since you will use it frequently. The first time you login, you will be required to choose your own password. If you forget your password, you can always reset it by clicking on the “Forgot your Username or Password?” link on the PSL login page. Once you have logged in, you will have access to everything you need for your MyFunScience classes. Remember, each student only needs one Powerschool account for all their current and future MyFunScience classes. We want to be able to respond to any parent or student’s questions as quickly as possible. So, it is important to contact the right person to answer the right kind of questions. If you have a question concerning a class, please contact your teacher through Powerschool. You can also send a teacher a question by going to any teacher’s page. Then, just click on the teacher you want to send a message, and use the contact form on the teacher’s page. If you have questions or comments related to MyFunScience in general, you can send us a message through the contact form on the MFS website. We will get back to you as quickly as possible. If you run into any technical difficulties with your classes, it is best to contact your teacher for that particular class. If you have any other technical difficulties, please send us a message using the Technical Support Contact Form on the MyFunScience website. Thank you for being a part of MyFunScience, and we hope you have a wonderful school year!